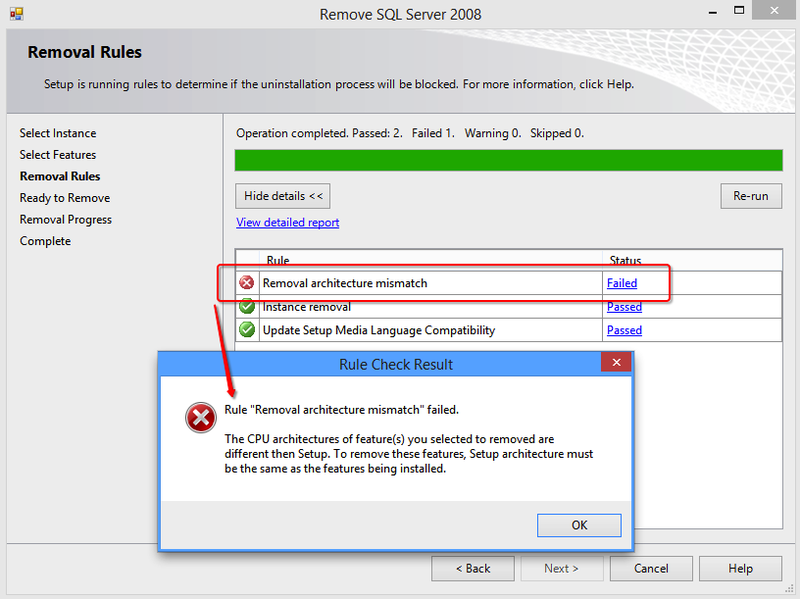 If you try to uninstall by clicking on first one (above 64-bit one), then you will get this rule mismatch error. You must select the second one (64-bit one) to successfully uninstall. When I selected the appropriate one, my uninstall validations passed without hassles. 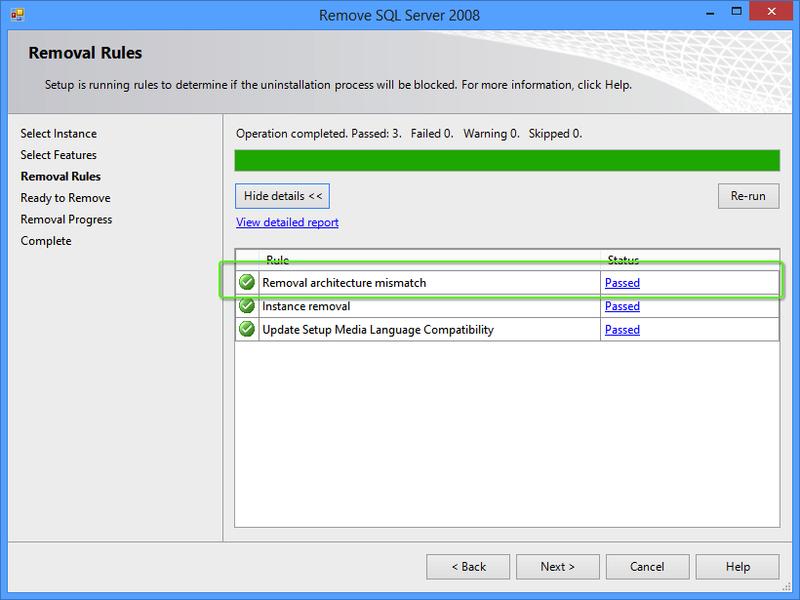 This entry was posted in 64 Bit, SQL, SQL Administration, SQL Error Messages, SQL Server 2008, Troubleshooting. Bookmark the permalink.